We ALWAYS have leftover tea and it usually ends up in baking or sadly getting overlooked. I’ve been waiting for the sun to come out to share this one with y’all. 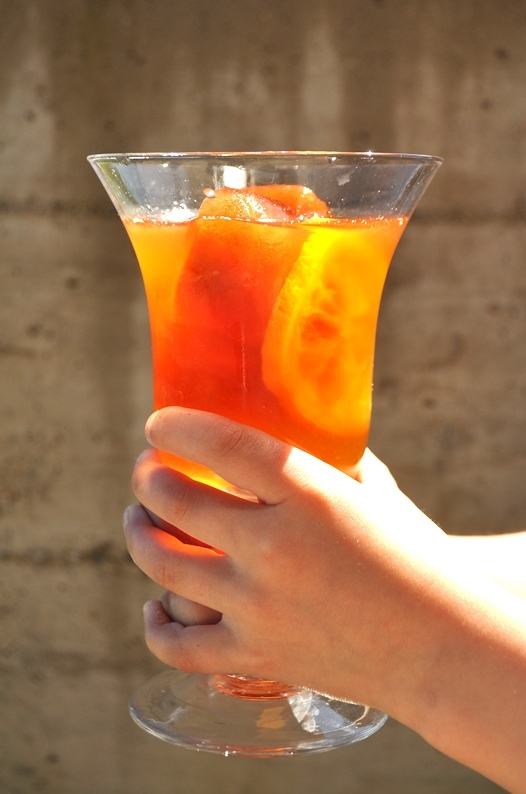 This time, we took our leftover red rooibos tea and poured it into an ice cube tray. Let them freeze overnight and they’re good to go. Place a few of the ice cubes into a glass and add in your water. 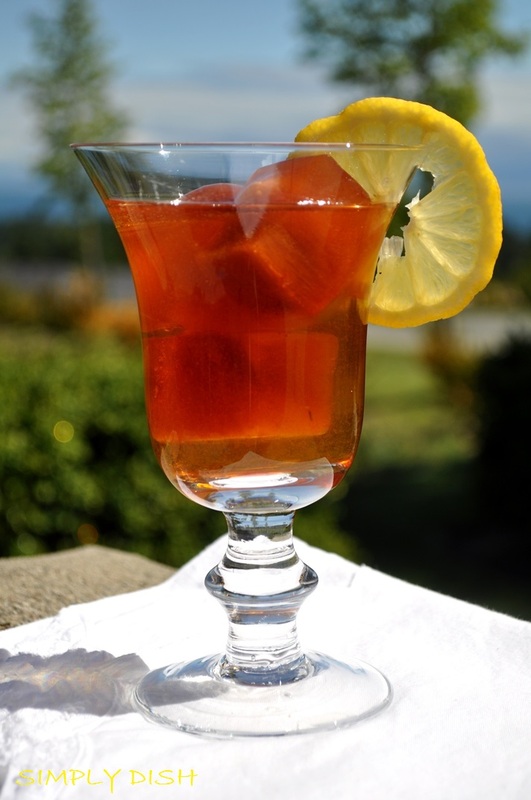 We LOVE rooibos tea with freshly squeezed lemon when it’s hot… and it’s an even better combo when it’s cold! We’re raising a glass and toasting the glorious sunshine… here’s to a warm weekend! Need a hot fudge chocolate sauce in a pinch? Super simple and not so bad for you! In a stainless steel bowl over a pot of simmering water, melt a quarter cup of coconut oil. Once it has melted, add in a quarter cup of raw cacao powder and a tablespoon of coconut nectar (or agave). Give it a whisk and you’re done. 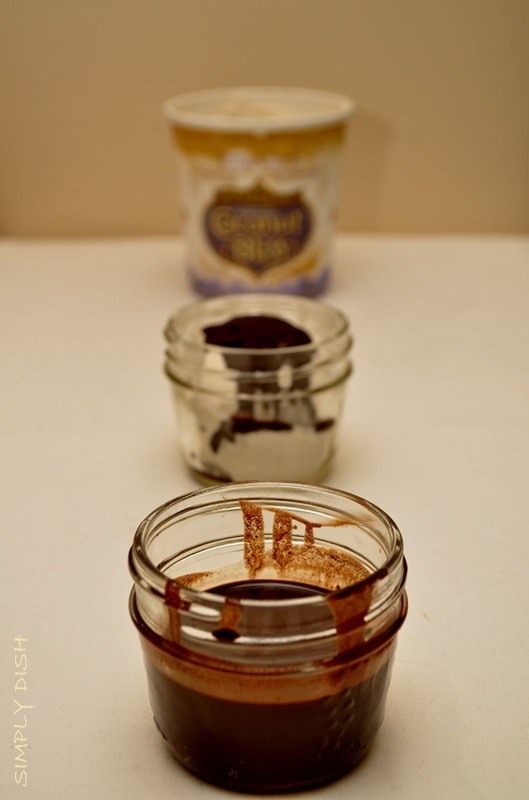 You have a great chocolate sauce that is as healthy as they come and you’ve made it in seconds. Not to mention you’ll have some happy kids at the table! Drizzle the warm fudgeyness over some of ‘Luna & Larry’s’ fabulous, organic vanilla coconut bliss non-dairy frozen goodness… there are so many wonderful non-dairy ‘ice-creams’ out there, but you MUST try this one. Note: the fudge sauce will harden as it cools – just like coconut oil… best to use it right away or store it and reheat by placing the mason jar in a bowl of warm water. All I can say about this one is… TRY IT! A super simple, super nutritious lunch that takes seconds to make. Your beautiful body will love you for this one! Wash and dry one chard leaf per person and start stacking. Spread the tahini on the chard leaf and add your veggies of choice. 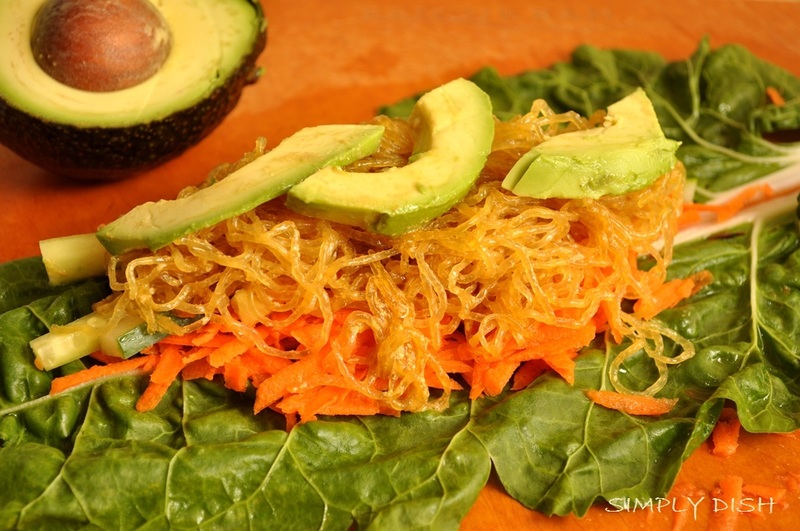 Before you add the kelp noodles to the mountain of goodness, drizzle a bit of coconut aminos and red star nutritional yeast over them and give it all a toss. This will add great flavour to this super healthy meal. 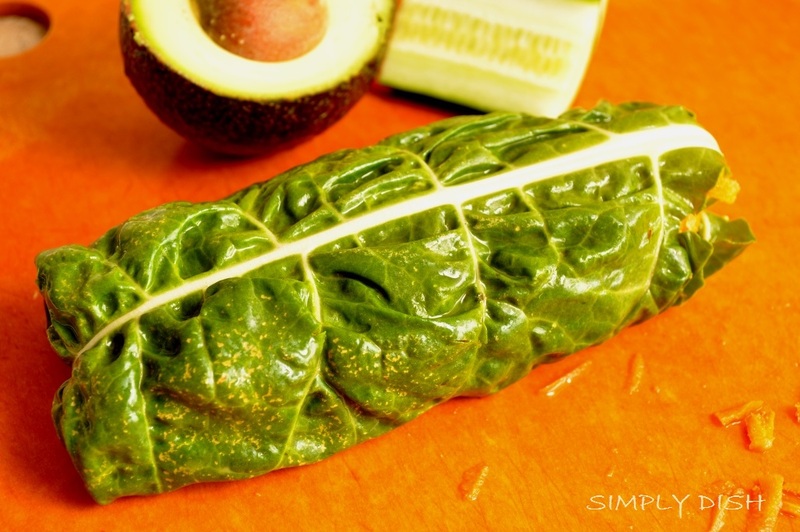 Wrap up the chard leaf nice and snug and enjoy! How could I have not thought about this until today?!?!?!!! My favorite childhood treat… the creamsicle. Years later, here are those flavours wrapped up in something that I would eat today. Place all of the ingredients into your food processor and whiz away for about a minute. 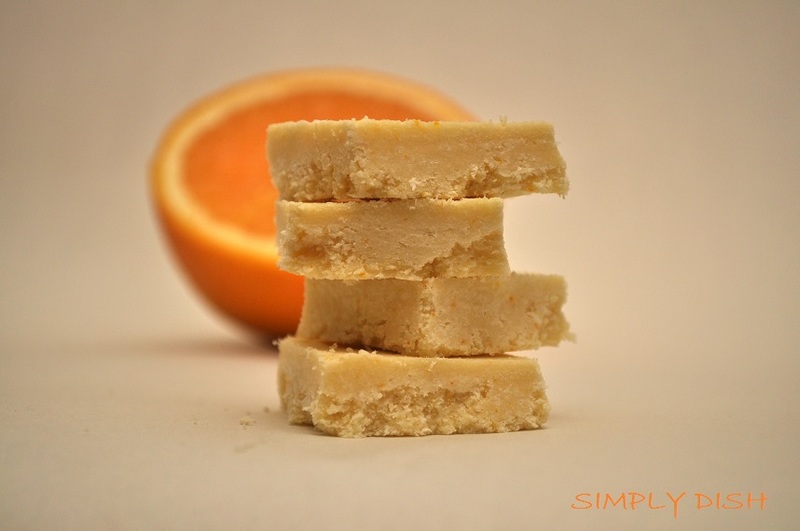 IF you need these to be a little sweeter, you can always add in two tablespoons of coconut nectar or agave… I personally think that the sweetness from the orange and the vanilla is enough… but they’re great either way! Press the mixture down tightly into a parchment lined loaf pan and toss it into the freezer for an hour or so. 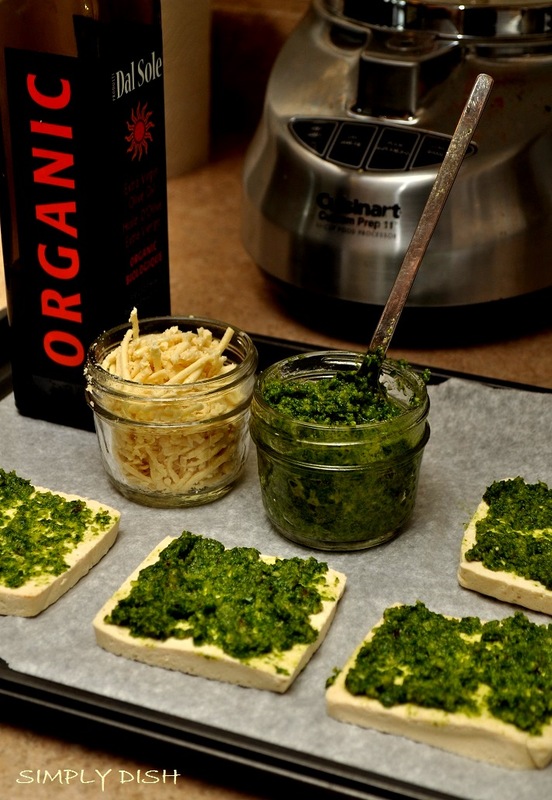 Remove the pan from the freezer once they’ve hardened and slice into squares… or rectangles… or circles. We recommend that you keep these gems in the freezer… not that they’ll last too long. 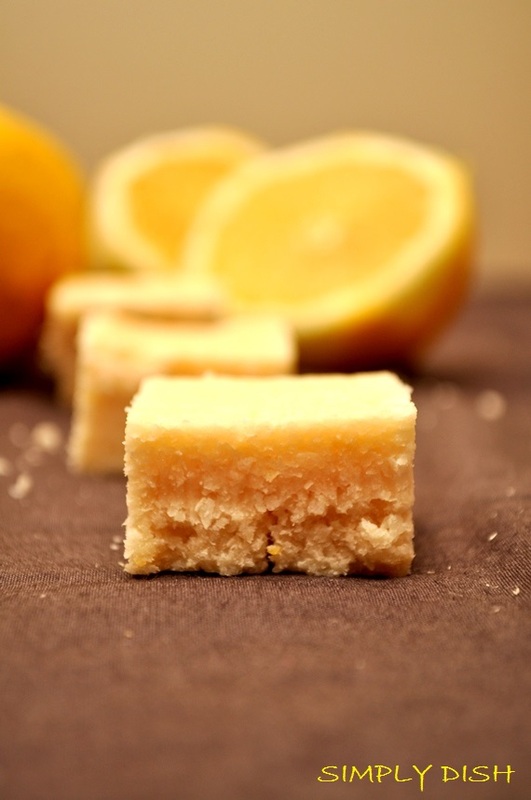 OH, and then we made LEMON SQUARES a week later !!! Exactly the same recipe, just replace the orange with lemon. Maybe grapefruit or lime next??? This is definitely one of our favorite meals. My five year old asks for it all the time. And it’s a great Monday dinner! We like to make a double batch so we have leftovers – they’re also great cold. We buy the small cubes of organic firm tofu… perfect size for the two of us. Slice the cube so that you get four squares. Place them onto a paper towel so that some of the moisture is absorbed. Transfer them to a parchment lined cookie sheet and you’re ready to ‘assemble’. Today we made a pesto out of basil, parsley, garlic, brazil nuts and some good olive oil… oh, and a pinch of pink himalayan salt. 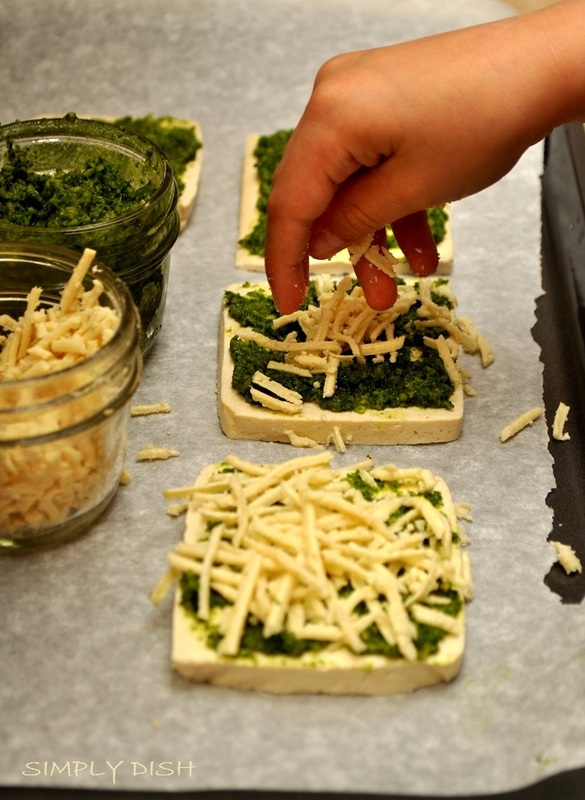 Spread your pesto over the tofu squares and then add a generous amount of Daiya ‘cheese’ to the top. You’ll be hooked… you just gotta try it once! Bake in a 325 degree oven for about twenty minutes and they’re ready to devour. 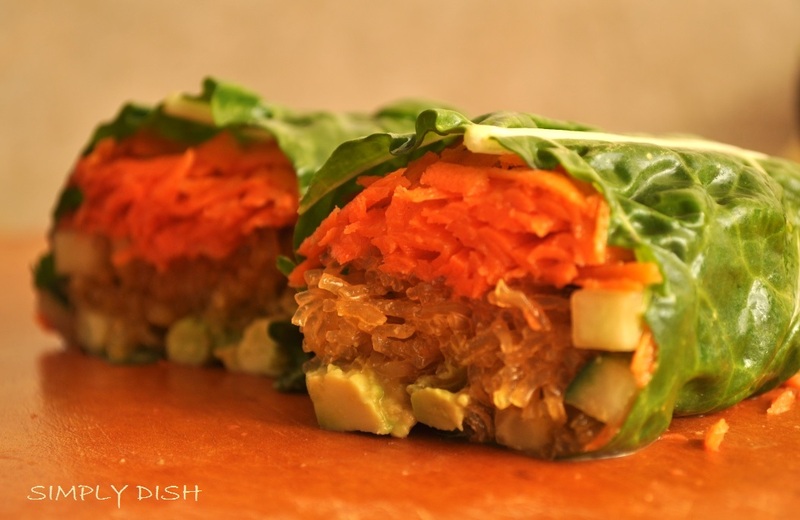 Great with a salad or some quinoa and veggies! Options are endless and it’s oh so simple.